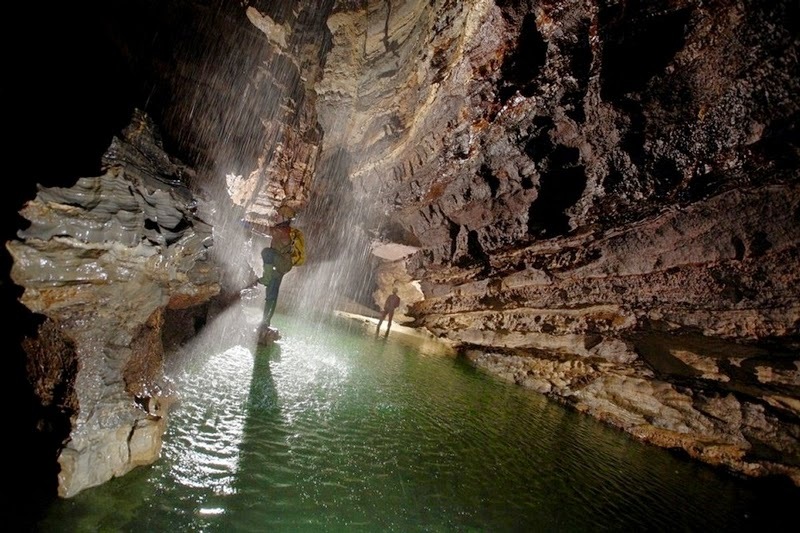 The Voroniya cave (Kruber caves or Krubera-Voronya) is the world’s deepest cave that has been studied by specialists. 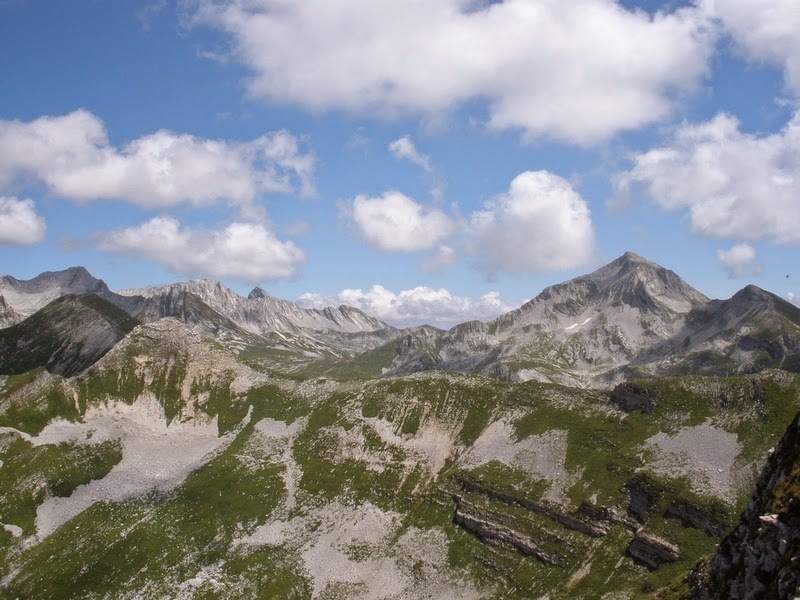 It is situated in the massif Arabika of the Ghagra mountain range, in Abkhazia, Georgia. 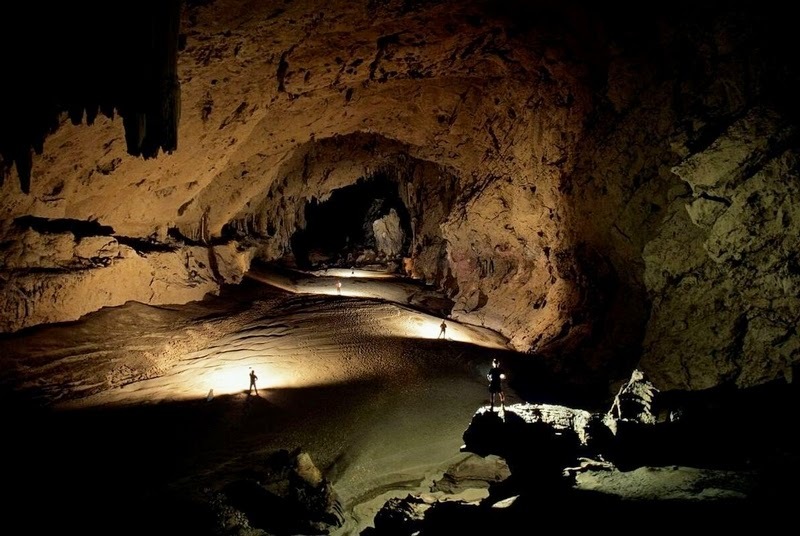 The cave has two branches: Novokuibyshevskaya (1300 meters deep) and Main (2196 meters deep), the second ramifies into several smaller branches. 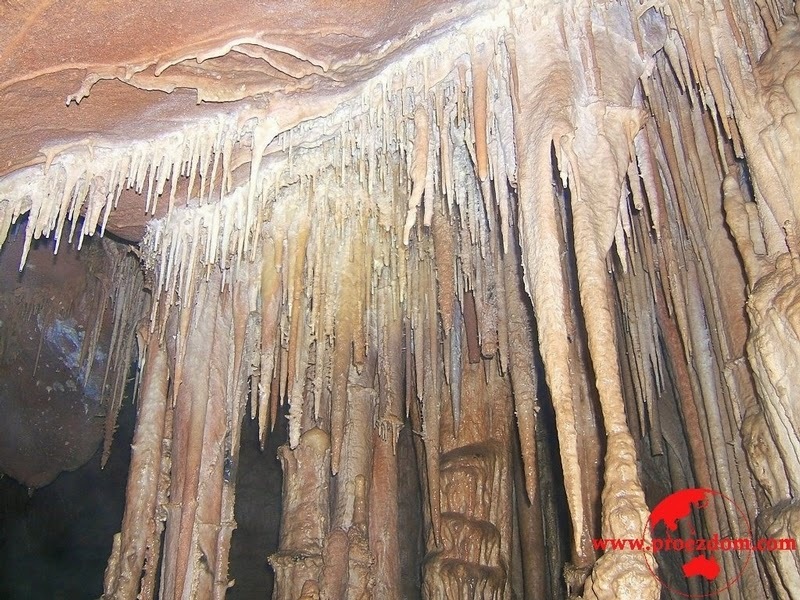 The depth of the Voronya cave is 2140 (± 9) meters (7020 ft (± 29)). 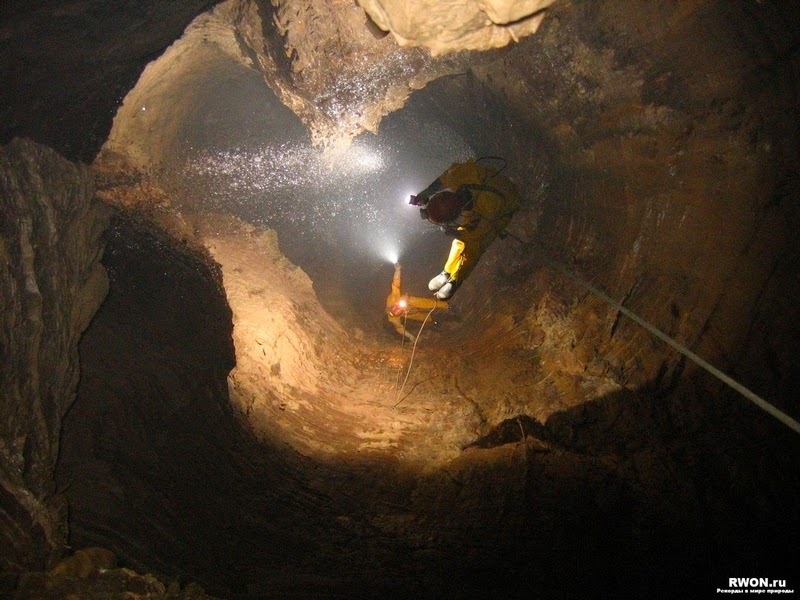 The previous record was set in 2001 by the Russian-Ukrainian team who found the cave area at 1710 meters deep. 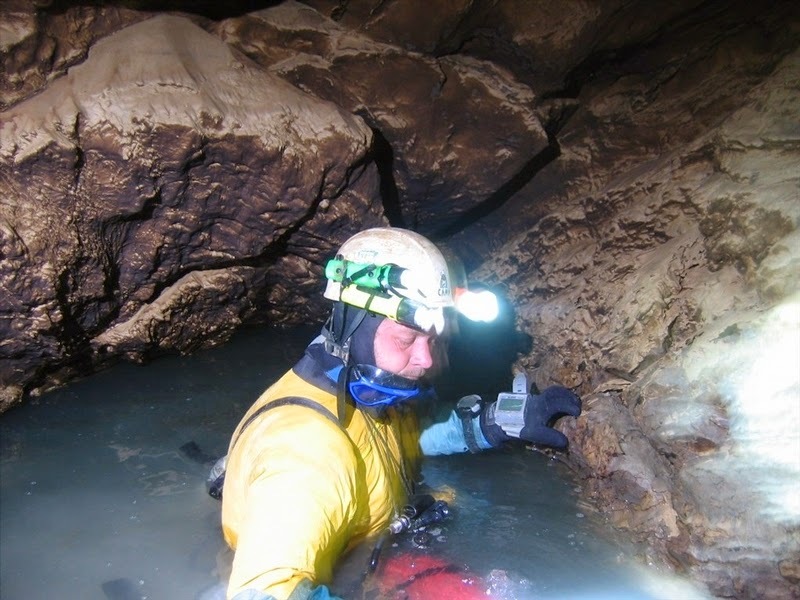 In 2004, during three research expeditions, the depth of the cave was recorded deeper and deeper. 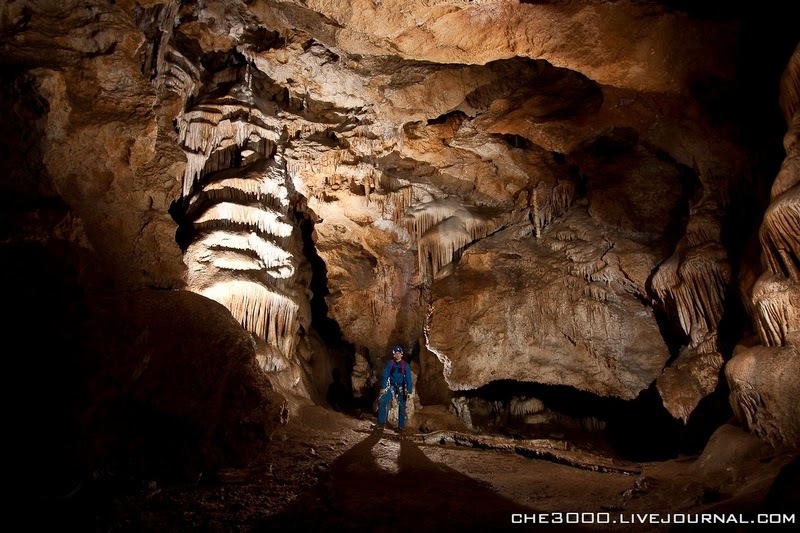 They crossed the mark of 2000 m under the ground. 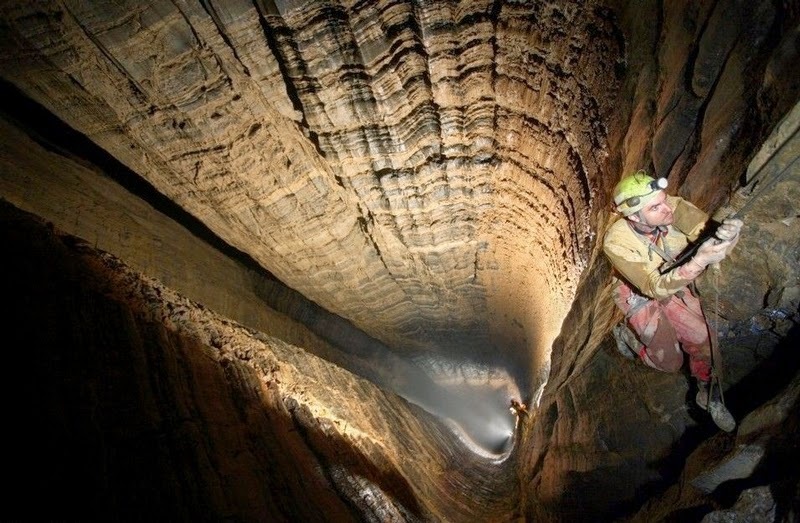 In the history of speleology it happened for the first time. 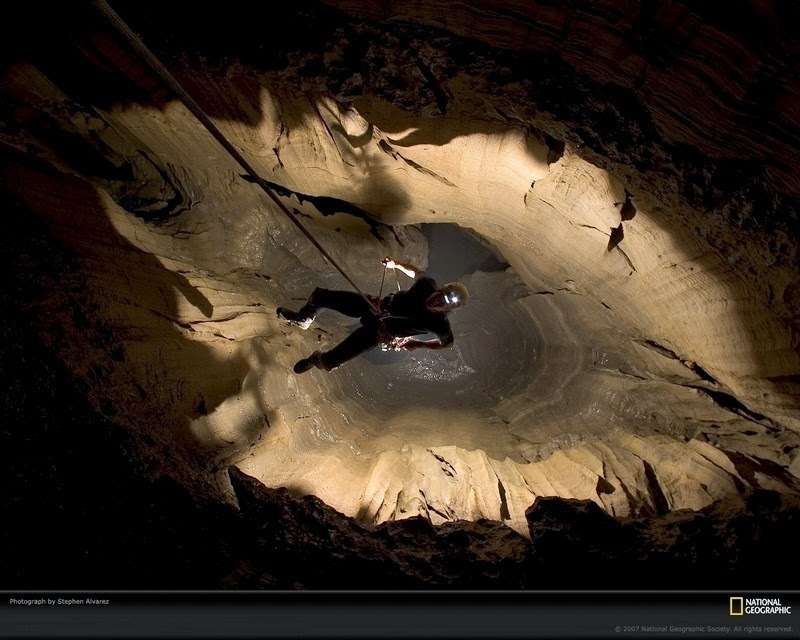 October 2005 brought new sensational results – the cave turned out to be even deeper. The expedition of CAVEX team confirmed that presently the depth of the cave is reaching 2140 (± 9) meters (7020 ft (± 29)) under the ground. 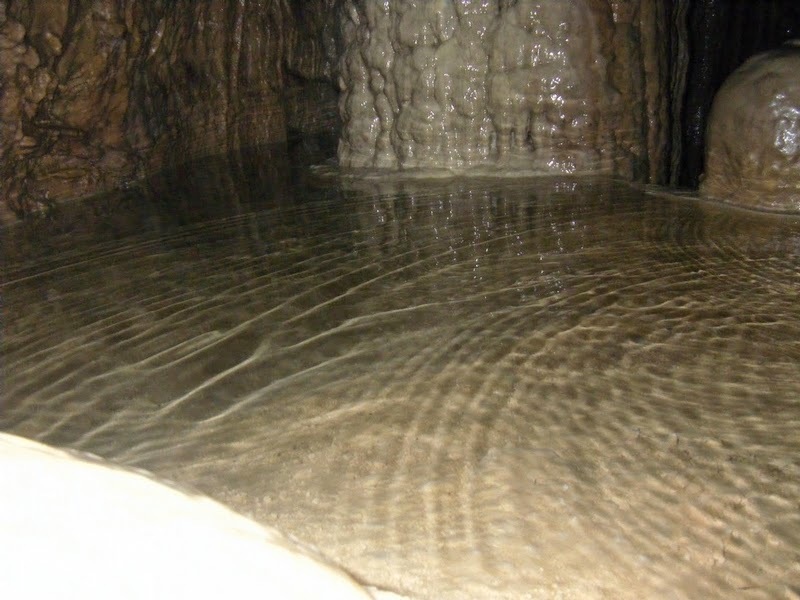 This subvertical cove represents a chain of wells interconnected by stiles and tunnels. The deepest plumbs are 115, 110 and 152 meters. 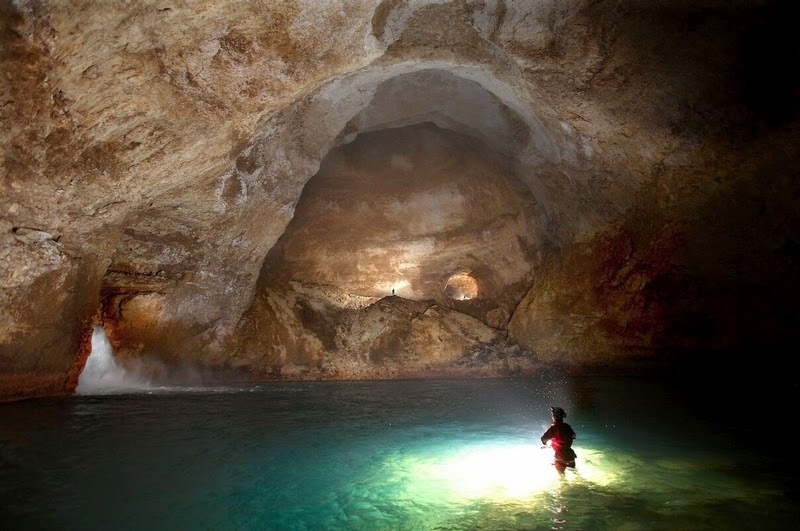 On the depth of 200 meters the cave ramifies into two main caves. One of them branches into several small ones. 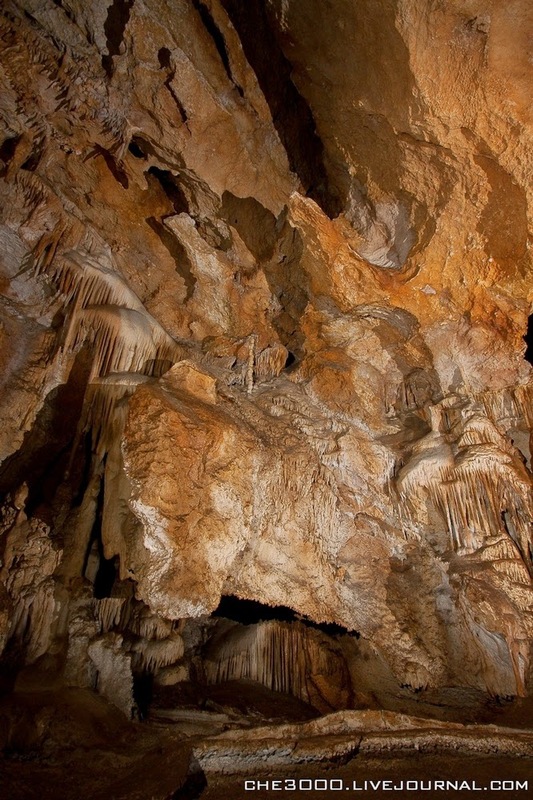 The cave is located in the limestone rock mass. 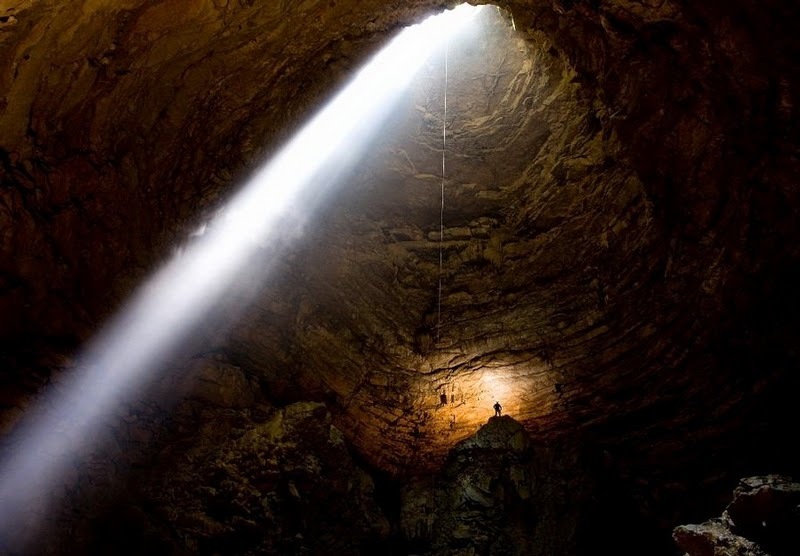 For the first time the cave was researched by Georgian speleologists in 1960, they reached the depth of 95 meters. 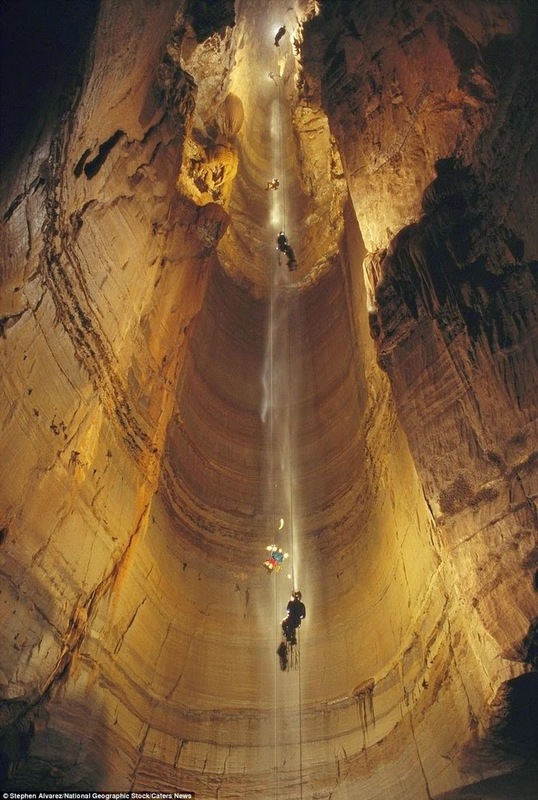 The next expedition was sent to reseach the cave in 1968. 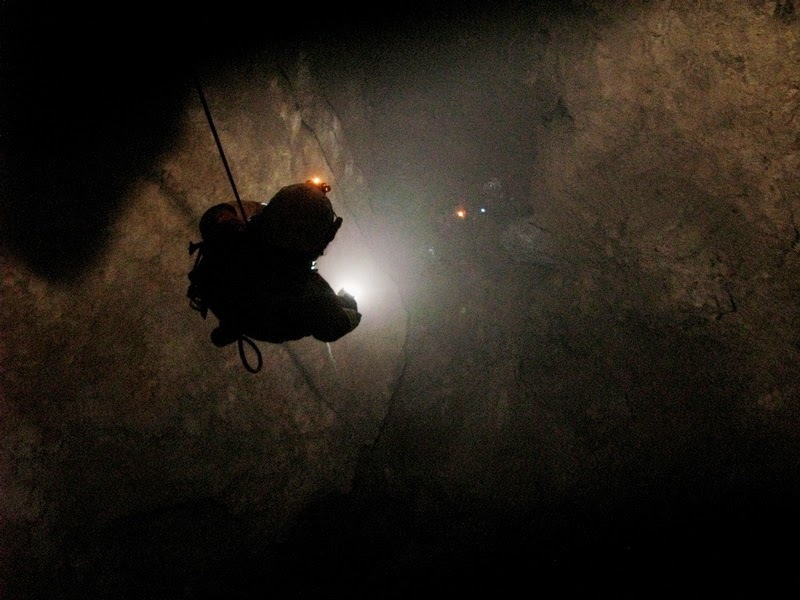 The cave was forgotten and investigated again, each time new teams of specialists were going deeper and deeper into the cave and setting new records. 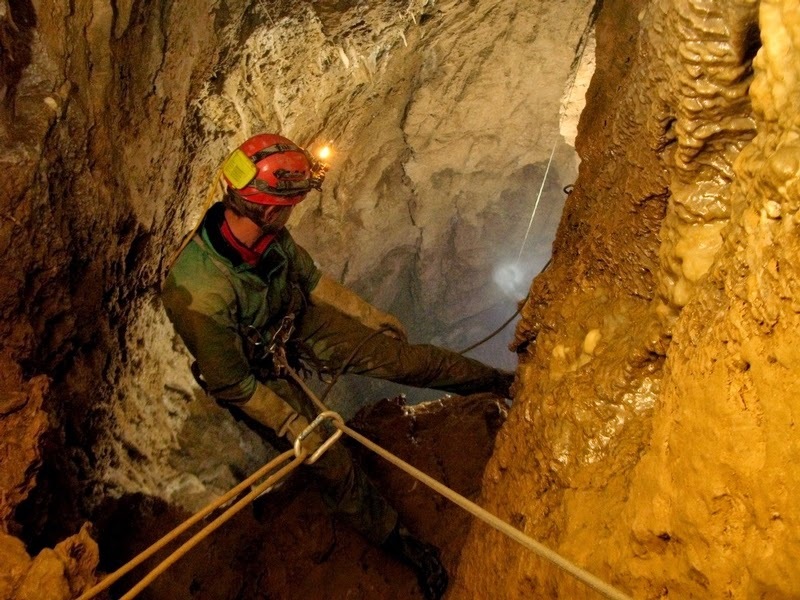 For a long time the graland belonged to French caves Pierre Saint-Martin and Jean-Bernard that were going deep under the ground for over 1600 meters. 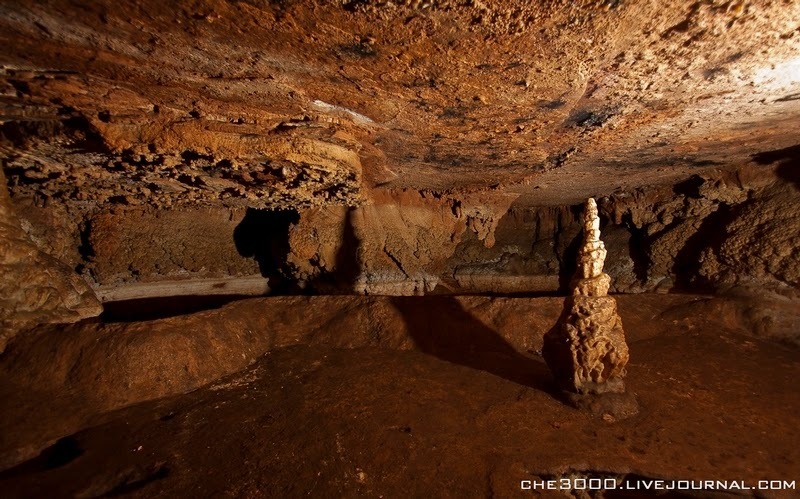 In 1960 Abkhazia revealed even a deeper cave previously unknown to the world. 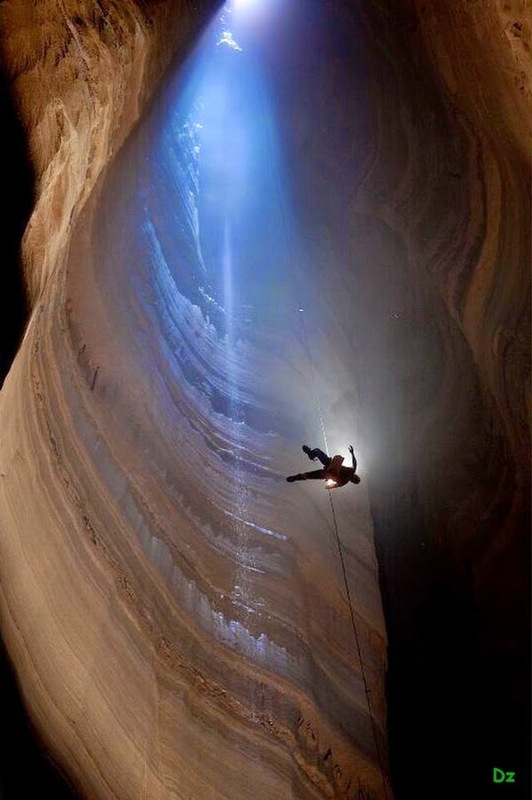 Today this cave is considered the deepest one in the world. 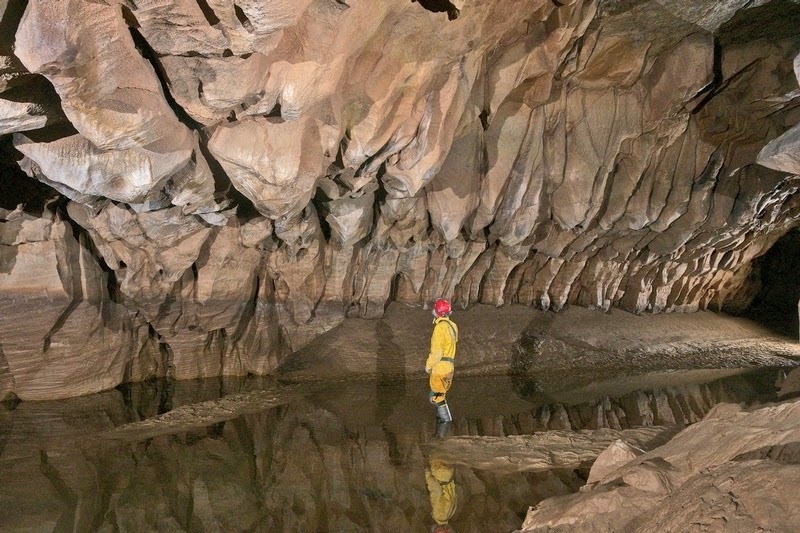 Before the 1960s, the cave was classified by Georgian speleologists as shallow but earmarked for further research. 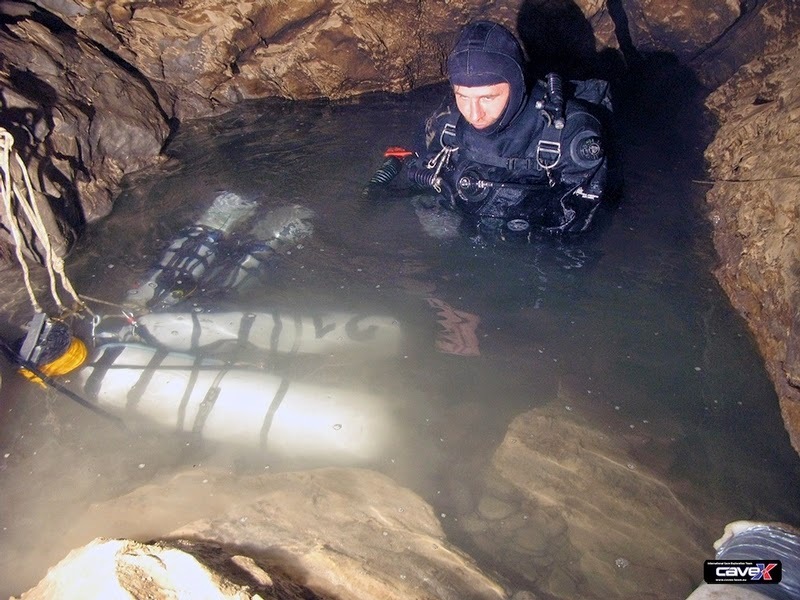 Why couldn’t the specialists discover the depth of the cave earlier? Because it didn’t let them go deeper, its passes were too narrow and too difficult to overcome. 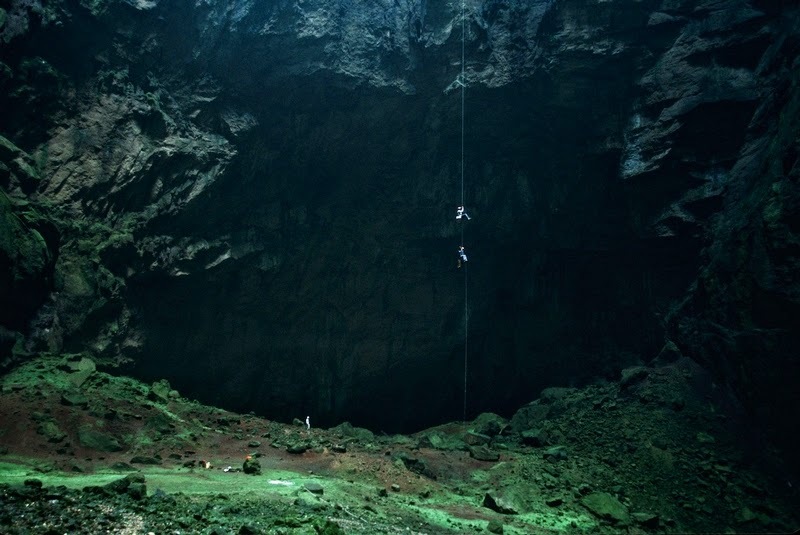 They had to be really well prepared and equipped to go deeper. 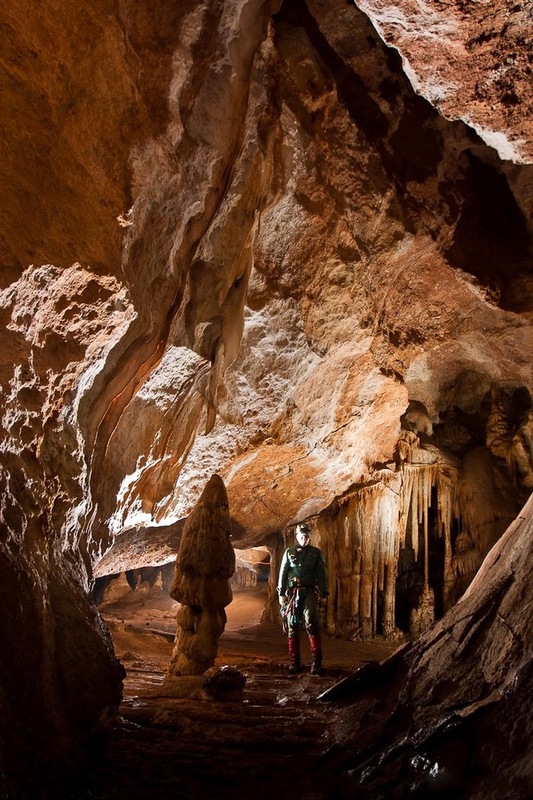 The war period in Abkhazia was not a good time for speleological discoveries. 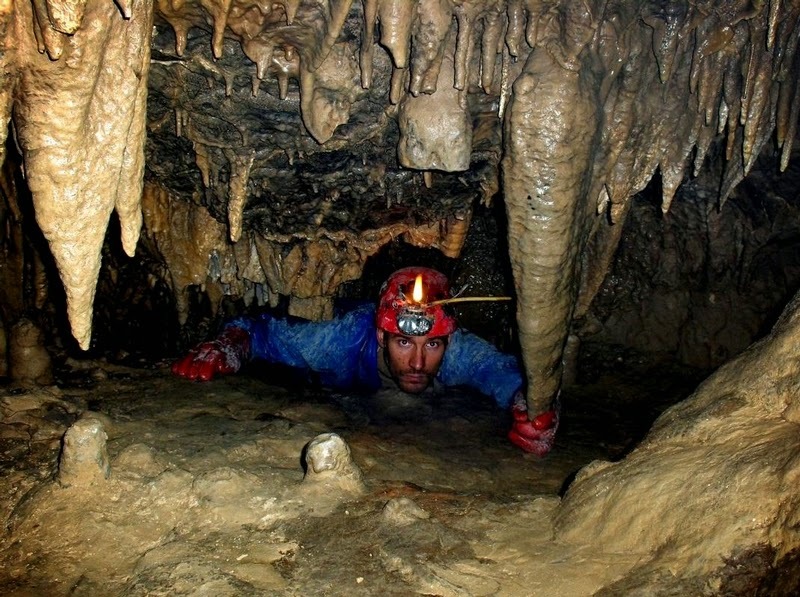 Only in 1999 one of the members of CAVEX team found a new promising tunnel of the cave. 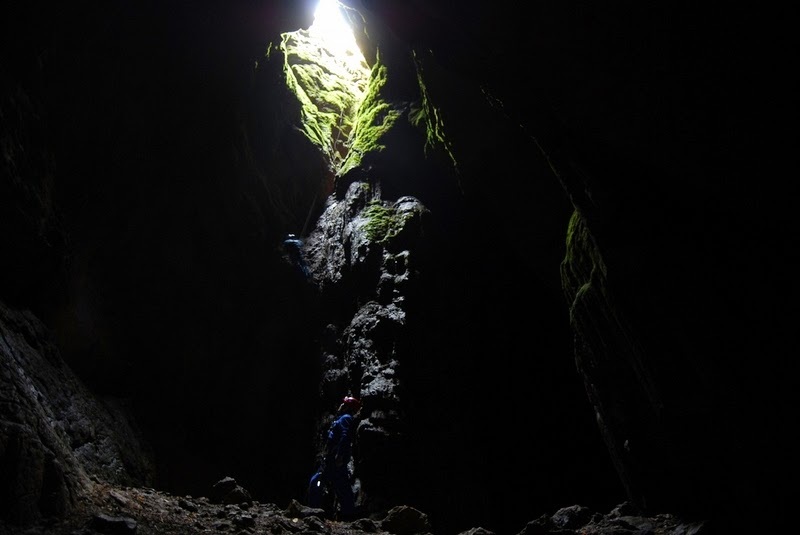 They didn’t know what to expect behind each new turn of the gallery and in the end of every deep well, but the cave held many surprises. Some tunnels turned out to be dead-ends, others became a beginning of a new long way. 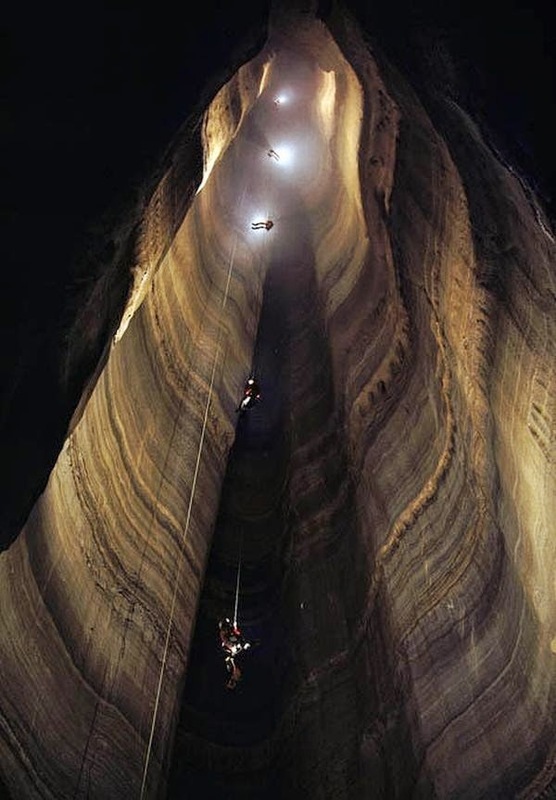 The result we have today is a merit of several generations of speleologists. 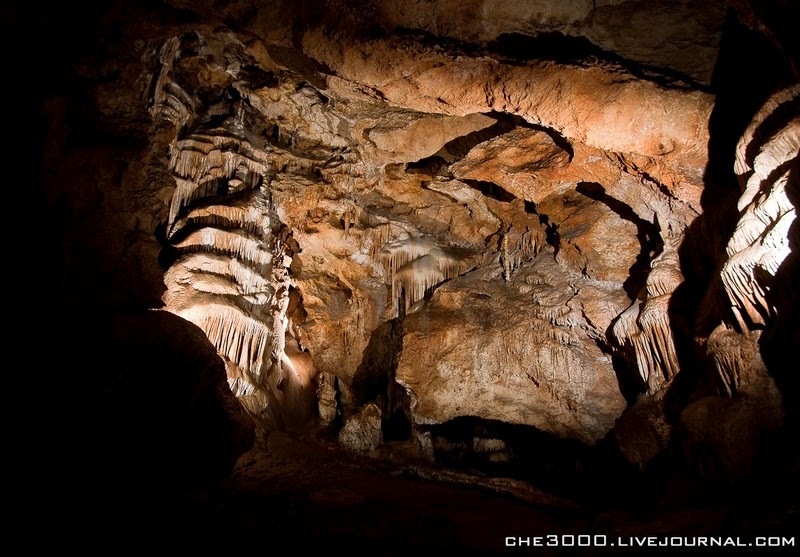 What they managed to do is a great map of the cave that you can see above. 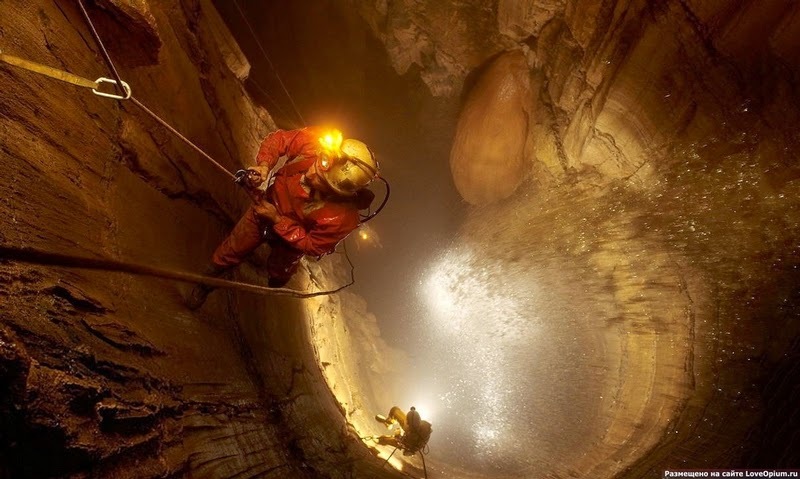 The first woman who reached the final record breaking depth of 2140 meters was from Lithuania, her name was Saul Pankene. 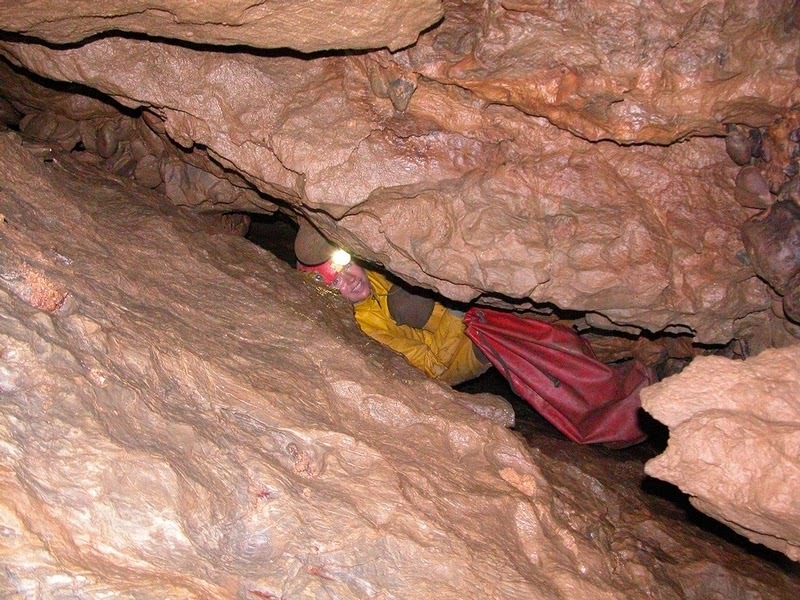 She was in the cave in September 2010, accompanied by three more members from the club “Aynigma”. 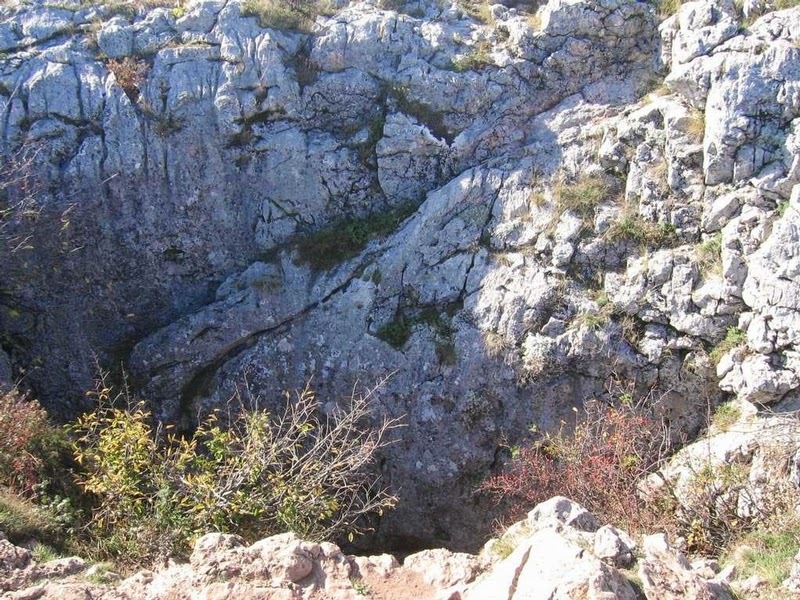 The final record of the cave was set in September 2007 by Gennady Samokhin who was researching Kruber at the depth of 2196 meters which has not been broken yet. 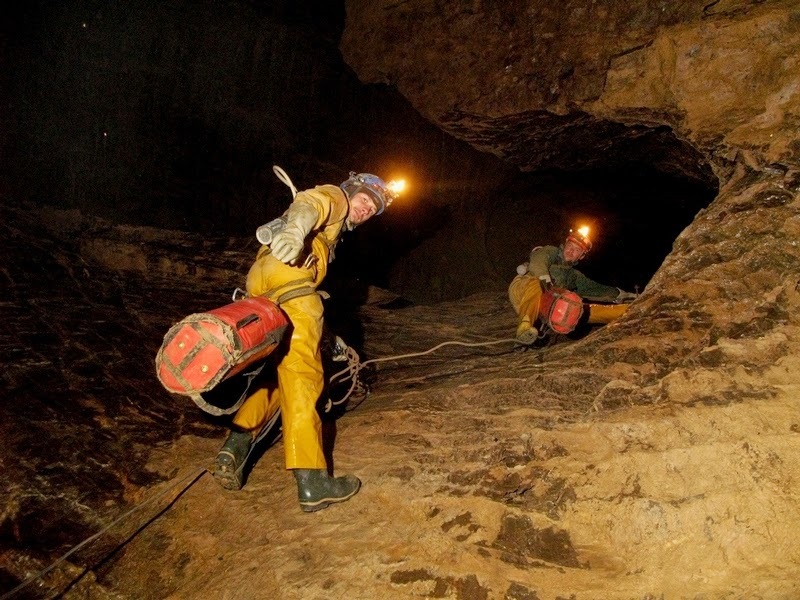 The expedition 2012 to Kruber cave had 59 participants from nine countries: Ukraine, Russia, Lithuania, Spain, Great Britain, Israel, Lebanon, Ireland, Poland. 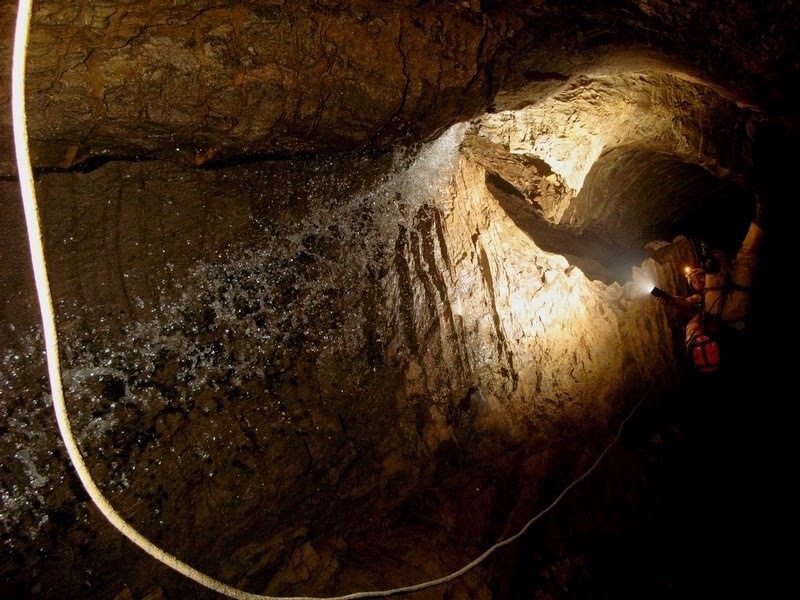 To the underground camps they delivered 150 liters of patrol, 500 kg of food, 3000 batteries. 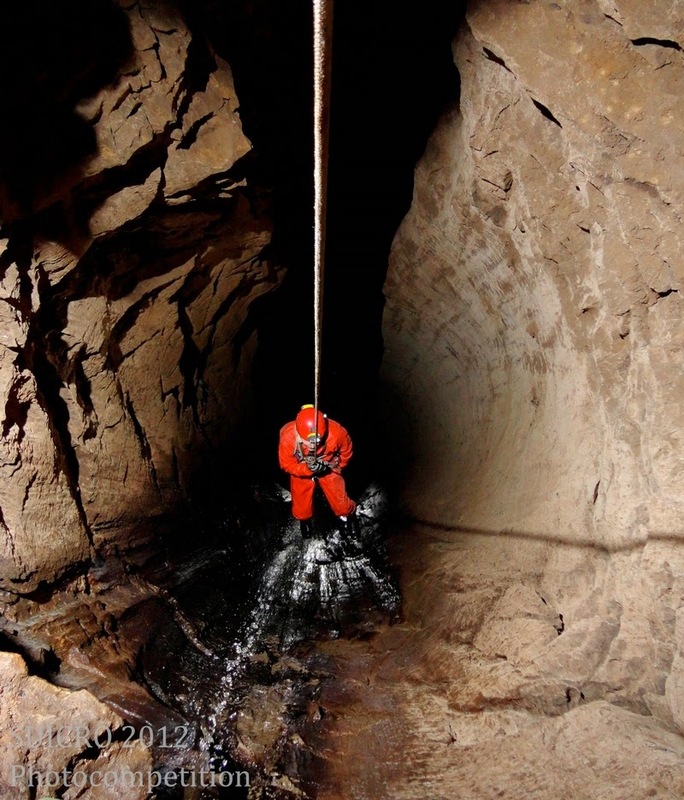 The deepest camp of speleologists was pitched at the depth of 1960 meters. That expedition lasted since July 21st to August, 26th. 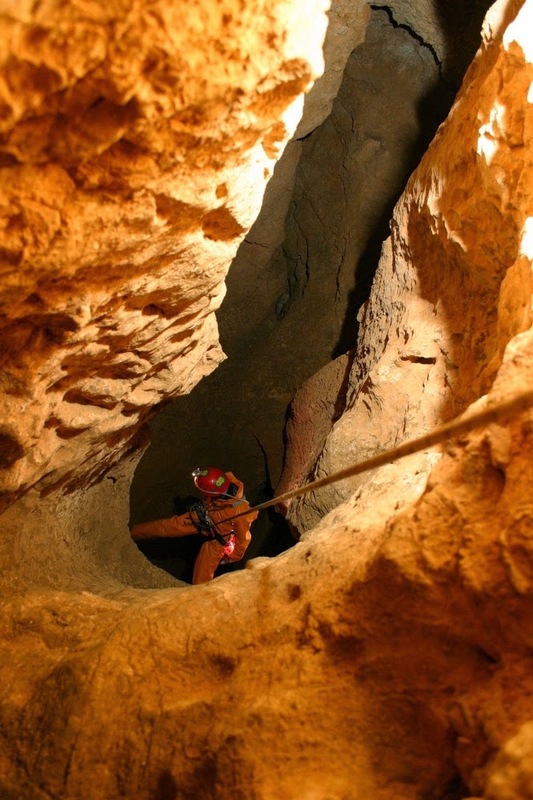 Krubera Voronya cave has only one entrance. 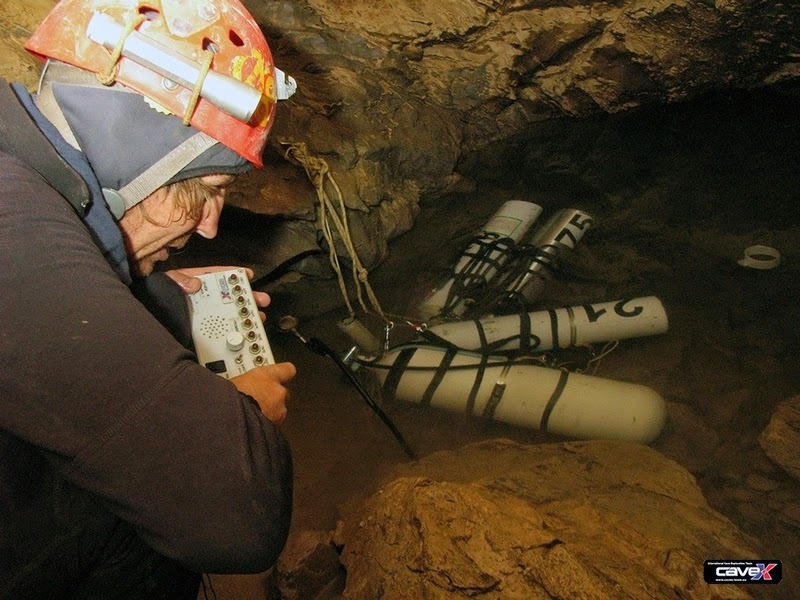 For futher research they will require a rebreather, the cave is still an object of huge interest for scientists.